The overarching goal of The Our Food Project is to strengthen communities' relationship to food by helping to build what we call ‘positive food environments’. Positive food environments are the physical and social spaces that help to normalize healthy eating by making it easier to grow, sell, and eat good food. We work at the individual, community and systemic level to increase the availability of nutritious food as well as our access to it. In doing so, we actively involve people in the development of more localized food systems. Many communities in Nova Scotia struggle with food and income insecurity – while at the same time our farmers find it difficult to make a living. The Our Food Project believes that both small farmers and low-income communities have the right to adequate income and an equitable food system. For this reason we’re helping to connect at risk communities to healthy food sources. By supporting local producers, educating eaters, and advocating for food policy change, we believe we can help to create a more equitable and sustainable food system. Policy Change and Civic Engagement. 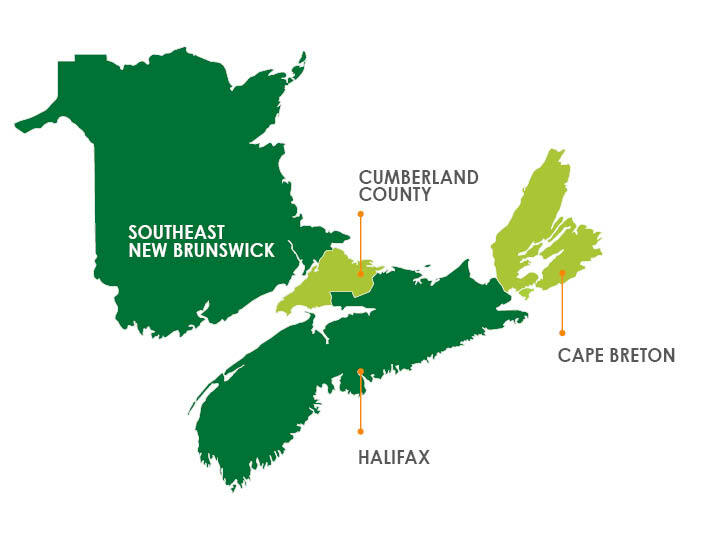 We currently have staff in Cape Breton, Cumberland County, Halifax, and through a sister project in Southeast New Brunswick. Through these efforts, we aim to build stronger more equitable local food systems, bridging urban and rural locales, and strengthening regional ties within the local food movement. 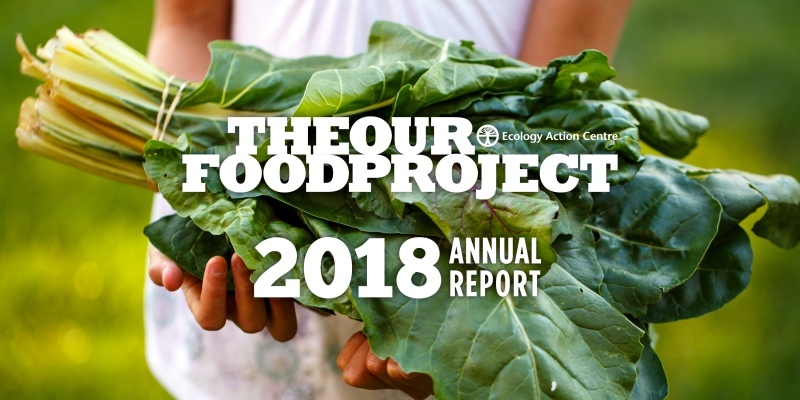 Check out our 2018 Annual Report, a colourful summary of what the Our Food Project has been up to lately. We're so honoured to work with our partners in building positive food environments. Funding for this project has been provided by the Public Health Agency Of Canada (PHAC). The views expressed herein do not necessarily represent the views of the PHAC).